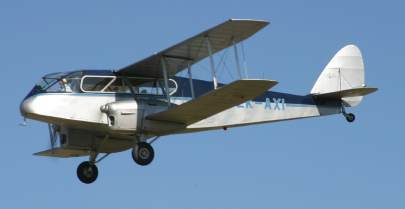 This 1933 DH84 Dragon is one of only four still flying anywhere in the world. Lovingly owned and maintained by Smith's Trans-Air New Zealand, it regularly flies from North Shore airfield. Owners Stan and Gilly Smith offer tailor-made scenic flights around the Auckland area. Join us, sit back in the comfort of the golden era, discover the natural beauties of the region while sipping champagne served by your personal hostess! Email john@pringle.co.nz or telephone Stan and Gilly Smith on 09 426 3435. North Shore Airfield, Postman Road, Albany RD4. The Black Sheep Wing is an aviation specialist society with a specific interest in historic military aircraft, and more specifically those operated by the famous U.S. Marine Corps squadron, VMF-214 (The Black Sheep Squadron) during World War II. The society was formed in 2003 by former members of the former Confederate Air Force New Zealand Wing. Harvard ZK-USM flies in US Marines colours and is ex RNZAF aircraft. (NZ1082) As such it is a genuine warbird. ZK-TEX is an iconic Beech18 that has been restored to depict a similar aircraft assembled at Hobsonville during the war and flown by the American Chief of Staff in the Pacific. ZK-BTQ is a wee Piper Cub, another classic tail dragger. The Public Trust, as sole trustee and overall custodian, oversees the Historic Military Aircraft Trust. Three members of the society serve on an Advisory Board to assists the Public Trust.